least on the cheese side; feel free to correct me. The first cheese that caught my eye was the L'Hercule de Charlevoix. It is a unpasteurized cheese made with Jersey cow milk. This hard cheese is brine washed and similar in flavour to alpine cheeses like Gruyere. I will not be providing too much information about the cheese mainly because of my lack of knowledge. An alpine cheese originates from the Alps mountain range. Animals that graze there consume lush grasses, flowers and herbs. These flavours are transferred into the cheese and can vary depending on season and location. 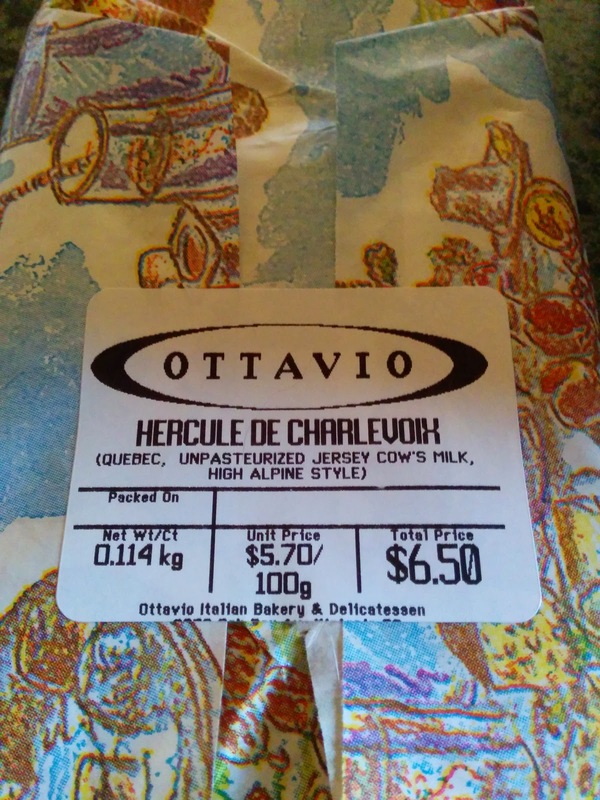 Quebec does not really contain any high mountain ranges, but the processing of the L'Hercule and the milk selected produces a similar flavour. So what does this cheese taste like? The initial aroma was that of feet and funk. Luckily, this did not transfer over into the semihard texture of the cheese. It was rather mild with a slight nutty, fruitness. The ending was a calm tartness. Perhaps a good pairing for this beer would be an equally calm and fruity beer. Swan's Arctic ale/Kolsch came to mind. A blonde ale or a calm pilsner would do nicely also. A pale ale or hoppy saison would have overpowered this cheese. I planned to head downtown to pick up a bottle of Andrew's Arctic Ale, which would have been perfect. The lazy factor kicked in, so another local favourite was chosen: Driftwood's White Bark witbeir. I thought the creamy wheat, orange peel and slight spiciness would compliment the flavours in this cheese. Sadly, this did not work out too well. 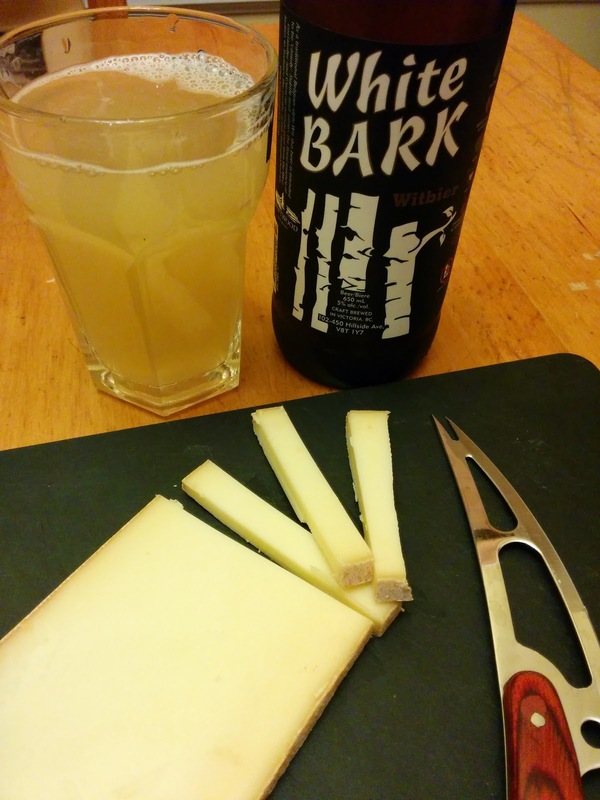 The White Bark was spicier than I remembered, so it rather overpowered this delicate cheese. It wasn't bad, just not optimal. This beer would have been better with something a tad more robust, like an Emmental or young goat cheese.